A total of 73 migrants were released from captivity by a Policia Federal road patrol Monday, according to Mexican news accounts. An El Universal wire dispatch posted on the website of Milenio news daily said that a Policia Federal road patrol had observed two individuals in a Ford Grand Marquis on Calle Cerro San Miguel, and gave chase until they arrived at a residence in Las Fuentes colony. Two suspects were detained at the scene and were identified as Santiago Betancourt Mora, 43, and Daniel Martinez Gonzalez, 25. A third suspect was detained, Cristian Josue Galvan Hernandez, 18, who was allegedly a lookout for the crew, colloquially known as a halcon. From inside the residence elements of the PF patrol heard calls for help, and inside they found 73 migrants. The migrants told PF police that they were being held for ransom at the residence by criminal suspects. Of the 73 released, 37 were Mexican, consisting of 32 men and five woman. 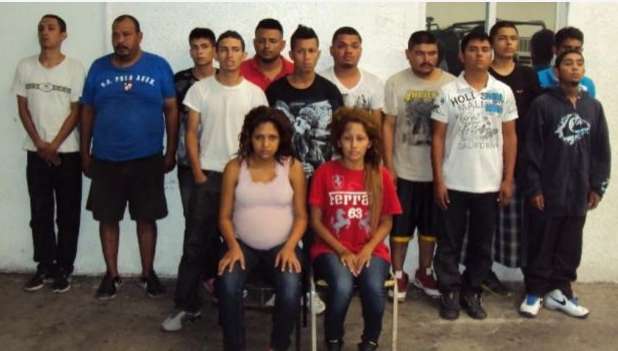 A total of 36 were Honduran, consisting of nine men and ten women. A total of 14 were Guatemalan consisting of 12 men and two women. Three of the rescued were Salvadoran. Additionally, six children were among the released. The victims had been kidnapped from bus stations and bus stops, and were held for ransom between four days and four months prior to the rescue. Police also seized 687 rounds of ammunition, a fragmentary hand grenade, six weapons magazines and marijuana weighing a total of 9.912 kilograms. Local criminal gangs on the northern border of Mexico look for migrants attempting to cross into the US, kidnap them and hold them as they attempt to contact relatives back home for ransom. The Director of the FBI in San Diego, Daphne Hearn said that Fernando Sanchez Arellano's criminal organization remains "without teeth," after one of its lieutenants was found guilty in federal court. The DEA already pronounced AFO dead, in an article by K. Mennem, May 29, 2013 in the San Diego Reader. Most consider Tijuana Cartel, AFO, FSO the same TCO. 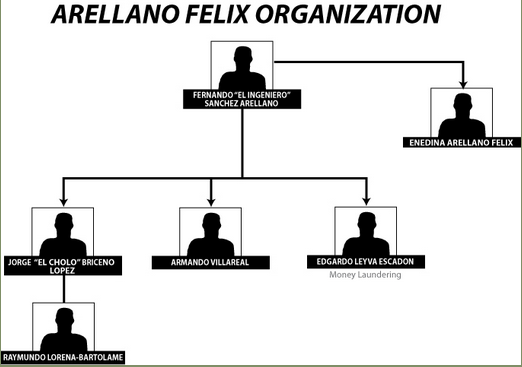 Zeta Weekly described Villarreal as partnered with of the Arellano Felix Cartel in an article,May 28, 2012, describing his charges as, "members and associates of a group known as Fernando Sanchez Organization, or Fernando Sanchez Organization "-identified by the acronym FSO in English, whose members perform, among other things, murder, conspiracy to commit murder, attempted murder, kidnapping , conspiracy to kidnap, attempted robbery with illegal deprivation of liberty, conspiracy to commit theft, attempted theft, importation of controlled substances into the United States from Mexico, conspiracy to import controlled substances into the United States from Mexico, distribution of substances controlled money laundering and conspiracy to launder money ... Everything in the Southern District of California, between November 2008 and July 20, 2010 "
Armando "El Gordo" Villarreal, 35 years old, was the right arm of Sánchez Arellano, "El Ingeniero." He could receive a sentence of 30 years in prison (previously he faced a life sentence) for leading a criminal organization with international ties (RICO for its acronym in English). Villarreal agreed in court, to having committed and ordered murders, kidnappings, collecting plaza fees from rival drug traffickers, bribing authorities, intimidating citizens and even journalists, in addition to dealing with large quantities of drugs into the United States. 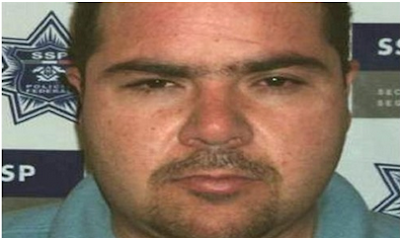 "El Gordo", the nephew of one of the famous Arellano Felix brothers, the criminal group that operated in Tijuana and parts of San Diego, in charge of a complex network of communication where corrupt police officers at all levels, passed on privileged information shared with American authorities. Villarreal Heredia was arrested as part of a federal operation in July 2011, which 42 people, among them police officers municipal and Ministerial, including the former manager of international liaison of the Attorney General of Justice of lower California (PGJE), Jesús Quiñónez, who was sentenced to eight years in prison. On Friday, agents from the Operative Reaction Group of Saltillo (GROMS) arrested 23 persons operating for organized crime group, with weapons, cartridges and cash. The detainees confessed to belonging to the Los Zetas group, admitted to specifically arriving in the municipality of Saltillo with the sole purpose of performing various tasks in support of this criminal organization. GROMS the elite operatives from Saltillo seized 100,000 pesos, 48,000 dollars, 500 cartridges, loaders, diverse tactical equipment which through the spokes person for the PGJE, Jesus Carranza Oyervides said it included, 17 weapons of various calibre and lengths. Those arrested are identified as Enrique García Olivares, 27 years; Carolina Llanas García, 19 years; David Daniel Llanas García, 28 years; Guillermo Nuncio Ramírez, 21 years; Juan Pablo Jaime Herrera, 34 years; Félix Segovia Trujillo, 48 years; Jesús Santos González Ramírez, 24 años; y Georgina Guadalupe Guerrero Reyes, 26 years; all from Nuevo Laredo. José Cabrera Meléndez, 24 years, de Veracruz; Fernando García Hernández, 19 years, from Monterrey; Arnoldo Eduardo Castillo Hernández, 23 years, from Monterrey; Luis Alberto Yerena García, 21 years of Montemorelos; Sergio Ramón Gutiérrez Coronado, 18 years, from Apodaca; y Rafael Álvarez Izquierdo, 22 years, from Saltillo. SEPT 27, 2013 New York – Michele M. Leonhart, the Administrator of the United States Drug Enforcement Administration (“DEA”) and Preet Bharara, the United States Attorney for the Southern District of New York, today announced the arrests of three defendants – JOSEPH MANUEL HUNTER (above) and TIMOTHY VAMVAKIAS, both citizens of the United States, and DENNIS GOGEL, a citizen of Germany. HUNTER is expected to arrive in the Southern District of New York this evening and will be presented before a U.S. Magistrate Judge in Manhattan federal court tomorrow. VAMVAKIAS and GOGEL arrived in the Southern District of New York yesterday and were presented in U.S. Magistrate Court yesterday afternoon. As part of the same case, SLAWOMIR SOBORSKI and MICHAEL FILTER, citizens of Poland and Germany, respectively, were arrested in Estonia at the request of the United States on September 25, 2013. 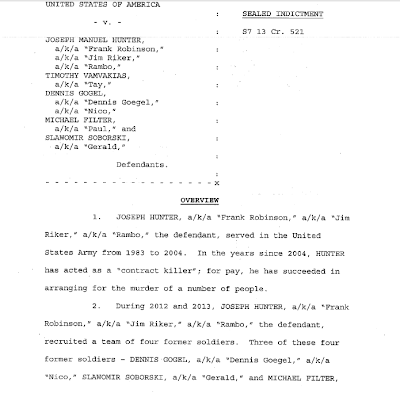 HUNTER, VAMVAKIAS, and GOGEL are charged in five separate counts with conspiracy to import cocaine into the United States; conspiracy to murder a law enforcement agent and a person assisting a law enforcement agent; conspiracy to kill a person to prevent communications to law enforcement agents; conspiracy to possess a firearm in furtherance of a crime of violence; and conspiracy to distribute cocaine on board an aircraft. SOBORSKI and FILTER are charged with conspiracy to import cocaine into the United States and conspiracy to distribute cocaine on board an aircraft. On September 25, 2013, the DEA’s Special Operations Division (SOD), Bilateral Investigative Unit (BIU) Narco-Terrorism Group (NTG), concluded a long-standing undercover operation conducted in Asia, Africa, the Caribbean, Europe and elsewhere. 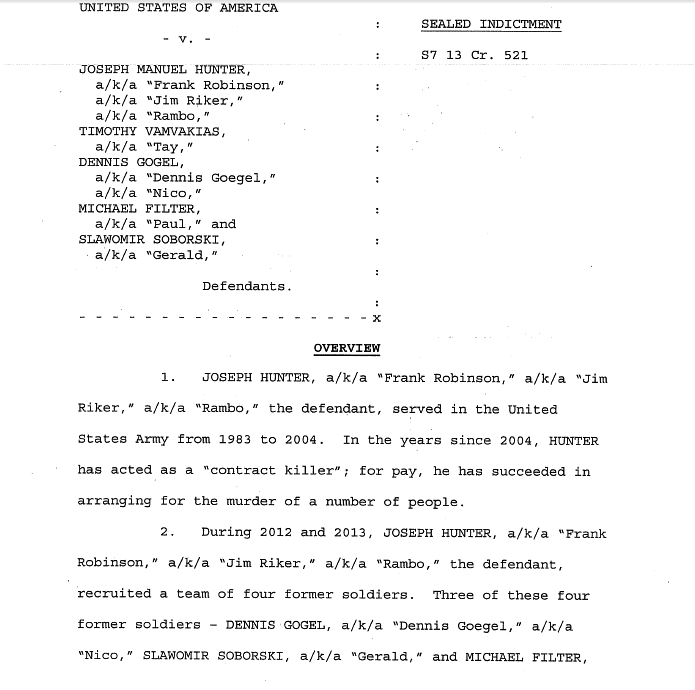 HUNTER was arrested in Thailand; VAMVAKIAS and GOGEL were arrested in Liberia and all three subsequently were expelled to the United States. SOBORSKI and FILTER were arrested in Estonia, where they remain, pending extradition to the United States. All five defendants have previously served in the armed forces of their respective nations. HUNTER and VAMVAKIAS served in the U.S. Army until 2004; GOGEL and FILTER served in the German armed forces until 2010 and 2009, respectively, and SOBORSKI served in the Polish armed forces until 2011. HUNTER served as a sniper instructor and a senior drill sergeant, training other soldiers in marksmanship and tactics; VAMVAKIAS attained the rank of sergeant and served both as an infantryman and a military police officer; GOGEL, SOBORSKI and FILTER were trained as snipers. 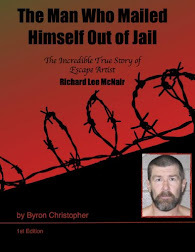 Since leaving the U.S. Army in 2004, HUNTER has acted as a “contract killer” and successfully arranged for the murder of a number of people. During meetings in Asia, Africa, and the Caribbean, beginning in January 2013 and continuing through late September 2013, HUNTER communicated with two confidential sources (the “CSs”) working with the DEA, who purported to be Colombian narcotics traffickers. HUNTER agreed to serve as the head of security for the CSs’ purported narcotics trafficking organization, and assembled a “security team” consisting of VAMVAKIAS, GOGEL, FILTER, and SOBORSKI. HUNTER also told the CSs that he had previously been involved in contract killings – referred to as “bonus jobs” – and that some team members wanted to do as much “bonus work” as possible. HUNTER and his co-defendants thereafter agreed, in meetings and communications with the CSs, to provide security and surveillance services to the narcotics trafficking organization. Furthermore, HUNTER, VAMVAKIS, and GOGEL agreed to commit murder-for-hire in Liberia by assassinating both a Special Agent of the DEA and a person who purportedly was providing information to the DEA about the CSs’ narcotics trafficking organization. In exchange for the murders, HUNTER, VAMVAKIAS, and GOGEL were together to be paid approximately $700,000, and HUNTER was to receive an additional $100,000 for his leadership role. Communications between the defendants and the CSs occurred by telephone, over e-mail, and in a series of surreptitiously audio-recorded and videotaped meetings over an approximately nine-month period. HUNTER and his four co-defendants provided a variety of services to the CSs’ purported narcotics organization. In late March 2013, in Thailand, at HUNTER’s direction, GOGEL, FILTER, and SOBORSKI surveilled a vessel on behalf of the CSs’ purported narcotics trafficking organization. In April 2013, in Mauritius, at the direction of the CSs, GOGEL, FILTER, and SOBORSKI provided security for a meeting at which the participants discussed the distribution of illegal narcotics to the United States. In late June 2013, in the Bahamas, VAMVAKIAS, GOGEL, FILTER, and SOBORSKI conducted surveillance of a purported U.S.-registered aircraft at the direction of a third CS (“CS-3”) working with the DEA, who posed as a member of the CSs’ narcotics trafficking organization. CS-3 informed the defendants that the aircraft was to be loaded with 300 kilograms of cocaine to be shipped to New York. 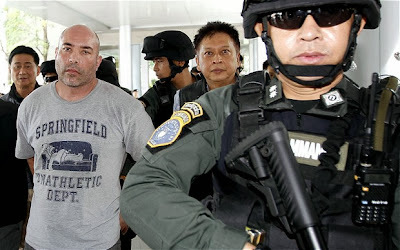 With respect to the murder-for-hire scheme, in mid-May 2013, at a meeting with the three CSs in Thailand, HUNTER, VAMVAKIAS, GOGEL, and SOBORSKI were told that a “bonus job” – that is, a contract killing – was in the offing, due to a leak within the CSs’ narcotics trafficking organization. In late May 2013, in e-mail communications, HUNTER confirmed that his team would be willing to murder both a U.S. law enforcement agent and a source (a boat captain) who was providing information to U.S. law enforcement authorities. HUNTER confirmed by e-mail that his team would kill both the DEA agent and the informant who was providing information to law enforcement about the CSs’ narcotics trafficking organization. At a meeting in late June 2013, in the Bahamas, CS-3 explained to VAMVAKIAS and GOGEL that “the job is to kill a U.S. DEA agent and a source with the DEA,” who would be located in Liberia. In mid-August 2013, at a meeting in Thailand, HUNTER told CS-3 that VAMVAKIAS and GOGEL would commit the murders. HUNTER, VAMVAKIS, and GOGEL discussed in detail the weapons that would be used and the possibility of entering Liberia without having their passports stamped. They suggested that CS-3 fly them out of the country via private plane following the murders. VAMVAKIAS stated that among other weapons, a sub-machine gun and two .22 caliber pistols would be needed for the murders, and CS-3 agreed to deliver the weapons to Liberia. The next day, at a meeting with GOGEL, CS-3 confirmed that an order for the requested weapons had been made. Later that same day, GOGEL met again with CS-3 and provided CS-3 with two highly sophisticated latex facemasks, which can make the wearer appear to be of another race, for CS-3 to transport to Liberia. 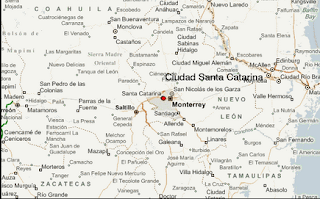 MONTERREY, NL - Four young people were killed and three others seriously injured during an attack by gunmen in a bar early Thursday morning in the metropolitan municipality of Santa Catarina. The violent incident occurred early at 1:00 am in Chato's Grill, a cantina located on Movimiento Obrero Avenue in the neighborhood of Jardines de la Fama part of the metropolitan municipality of Santa Catrina. Witnesses said three men entered the establishment and opened fire on about 30 customers. Two men died inside the bar and two died outside between parked cars. The injured were transported to local hospitals. Sources close to the case said actually one of the mortally injured had died early this morning, although that version was not confirmed. Of the four youths who died, authorities were able to generally identify three, but only as "Samu," Aaron, and Oscar, alias "El Loco," all between 17 and 20 years of age. In the parking lot crime scene investigators seized several vehicles, among them, a car with a vehicle registration of 350z SRN2-4190 which had taken about 20 bullet holes, also a Mustang and a red pickup truck with 13 bullet holes. The shooting caused panic among the attendees, many of whom went quickly through the emergency exit.. Inside Chato's Grill they treated men and women who were hysterical. It is believed that the incident is related to organized crime. At the time of the tragedy (the numbers in reports have varied) but between 30-50 men and women were on the premises , in addition to the manager and two bartenders, all who retired after the incident. On Tuesday, a businessman was murdered outside his factory, in the neighborhood España, south of the city, a fact related to his refusal to pay the criminals' plaza fees. Nuevo Leon's government has reiterated that between the murders this year none has been linked to criminal extortion, and in some cases there has been misrepresention by the media..
MONTERREY, NL - Jorge Luis Martínez Martínez, the father of Jorge Luis Martínez Gutiérrez, mayor Zuazua, was abducted early Wednesday from his home in Zuazua, located 40 kilometers north of the capital of Monterrey confirmed today the governor Rodrigo Medina de la Cruz. He explained that Jorge Luis Martinez Martinez, father of the mayor, was kidnapped at 2:00 pm yesterday from his home located in Zuazua and his whereabouts remain unknown. Medina said: "We are working on the confirmed case, and unfortunately I can not give more information for obvious reasons, but it is confirmed and we are working." The family of the victim presented the relevant factual allegation, authorities have refused to provide information to the media for the safety of those involved. 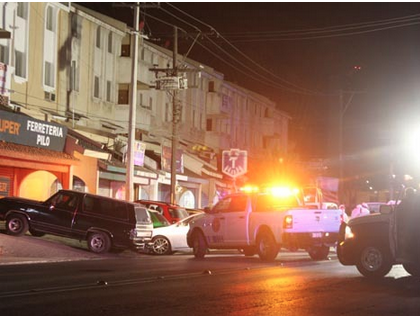 Despite the recent crimes, the security spokesman for the state, Jorge Domene, said that there is a downward trend in criminal activity in Nuevo Leon. "What we see is that in the last three months, and this would be the fourth, the impact is we've had about one case per day. As of today we have 24 reported cases related to organized crime, this is a trend of consistency in that number, " he said. He also noted that recent killings and kidnappings have been carried out by a specific group of organized crime. Milenio says in an article on Sept. 28, 2013 that 53% of homicides in Mexico are linked to organized crime, down from 72% in January. In April, 2011 8 out of ten homicides were linked to narcos. On Wednesday three decapitated human heads, of males, were discovered accompanied by a cartulina (poster board) with handwritten text. Farmers and students gathering at a truck transportation stop, made the macabre discovery apx 5:00 o’clock in the morning, at the El Torito roundabout in Los Reyes, Michoacán, near the road to Periban. The bodies of the men were not left at the roundabout but the severed limbs were found by authorities. Preliminary studies indicate the age of the men to be 28-32. CT Usurps Identity of Autodefense Groups-Cloning Vehicles and Shirts. Dr. Mireles openly addresses rumors perpetrated by Templarios. 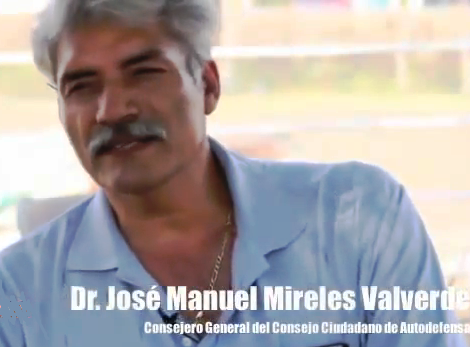 Dr. Mireles, good afternoon, thanks again for giving us this interview. 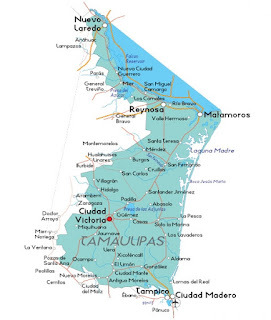 Rumors have been circulation on social networks where is said that the auto defense groups have decided to take the municipality of Apatzingán. Is this true Dr. Mireles? Well, I just want to send a message to all the civilians of Apatzingán that we, the auto defense groups, have never thought in taking over the city. That is the truth. We say this because we have discovered fifteen trucks with the same logo as ours in La Loma de los Hoyos and other ranches with people that are wearing shirts identical to the ones we wear. 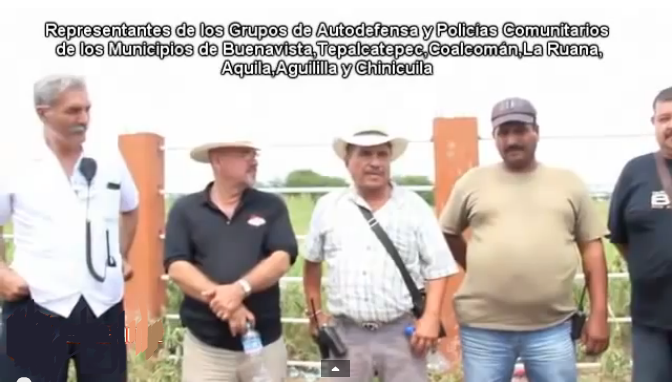 I want to tell the citizens of Apatzingán that those people don’t belong to our group. They are the Caballeros Templarios who were planning to invade Apatzingán, and kill many people in the march so that the auto defense groups would be blamed for it. 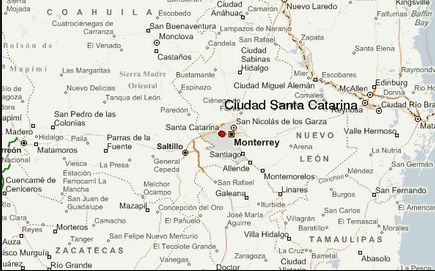 We have never planned in taking the city of Apatzingán. We have been in the lookout for when the citizens of Apatzingán decide in unison, to rise in arms and eradicate organized crime that is nesting in their city. So probably we will go assist the civilians along with the army and the federal forces, when they decide to rise in arms but we have never planned to go and attack the city of Apatzingán. On the contrary, we only defend our borders from organized crime, so they won’t return to our land, since the first day which was February 24th of this year. Pricilla, we have done this for almost 7 months and we have never invaded a municipality or any ranch that is living peacefully but when the citizens of Apatzingán unite their desires and rise in arms against organized crime, that is when we will go to assist them, if they ask us to do so and I repeat, we will not go alone, the Mexican army will also support us as well as the federal forces; but that will only happen the day that the citizens of Apatzingán by the sum their wills rise in arms to definitely eradicate organized crime. Dr. Mireles, since when have you been having this information about the Knights Templar who are usurping community police and want to enter the municipality of Apatzingán? For greater than two weeks we have heard these reports, also the army and the federals know there are several trucks cloned exactly as the army, national marines and as the federal forces. We know that yesterday the mega march that was meant to take place was cancelled. People were hired to strengthen the march from Zamora, Morelia and Zitacuaro. These people were offered 200 people to assist the march and if the people wouldn’t come, they would be fined with 200 pesos. This is general information that is given to us by people that hear it from families or friends of the Knights Templar. All of these impostors were going to commit a massacre among all the people that were paid to march and then blame us for that situation. I repeat, we never crossed our municipality to invade another municipality, ever! We are exclusively watching the territory of our municipality. When are we going to Apatzingán? The day that citizens unite their will and rise in arms against organized crime and will want to eradicated completely. But we will not support those that have personal agendas with organized crime, those that were collaborators of these people and then turned their backs on them because they only have internal issues with them (criminals). We do not participate in those movements, Priscilla. The march that you are talking about, when was it going to take place, Dr. Mireles, or when is it going to take place? It was going to take place yesterday at 9 am but because of the tropical storm “Manuel” that has caused damages to the region; the march did not take place. I hope that they will forget about it and not (as planned) make that march with the hired people to destabilize the region more than it is. We don’t do things like that, we just defend our borders. So, what you are informing us Dr. Mireles, is that the Knights Templar was planning to commit a massacre, usurping the identity of the auto defense groups that are present in the region? Exactly and that was what we were concerned about but fortunately it did not take place because of the tropical storm “Manuel” but hopefully the people desist of participating in it and if they are forced to do so, they have the right to yell, ask for help, speak to the authorities that they are being forced to a narco protest in which they don’t want to participate, since they also have the risk to be killed by the Knights Templar and blame it on us. We are not going to leave here, we have said that before. We are not going to invade any city. We will support any city that want to rise in arms and ask for our support but we will not go alone, federal forces and militaries will lead us. We will only go to support citizens but will never go and attack any city, nevertheless, if they don’t want to defend themselves from anything. Dr. Mireles, what about the rumors about the people of organized crime infiltrated in the auto defense groups? Well, we have rumors that the people are turning their backs to organized crime. Those that were Zetas that became Familia Michoacana and then Templarios. 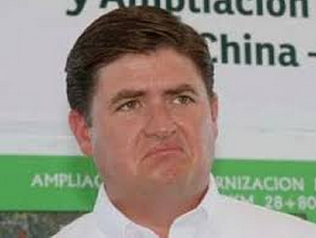 We know that there is an internal division between the high heads of the mafia that exist in Michoacán and many of them have tried to ask for support to exit the organization, supposedly, but then they will infiltrate into the auto defense groups with the argument that they ended very bad with Quique Plancarte, La Tuta or El Chayo. We do not believe all of those people because they are criminals, murderers, drug traffickers, kidnappers, executers of many of the families that don’t exist anymore in our region. We will be constantly vigilant with those that supposedly regret being with the organized crime and want to return to our community but we know that their only intention is to come, re-accommodate in the municipalities which they lead before, then they will try to execute us one by one. That is why we are vigilant and constantly communicating with the companion Hipolito Mora of La Ruana, the companions of Buenavista, Coalcoman, Aguililla and Chinicuila because we do not believe in repentance of the criminals. They never regretted when they had our brothers, cousins, or relatives kneeled down, tied from feet and hands and shooting them at the back of their head. We will continue watching closely, so infiltrators don’t return and if someone from our municipality or any other municipality want to give forgiveness, I will clear them out. This municipality that rose in arms since February 24th will never forgive anything that the criminals did and will not accept them back into this municipality, NEVER. Dr. Mireles, many people are questioning why don’t you denounce with the authorities or turn them in, if you already have identified the alleged repentant members of the organized crime? More leaflets appeared in cities in Michoacan saying variations of the same thing as the banners mentioned in earlier ones, but Historias del Narco interpreted the mantas being from a group an actual group calling itself guerrilla who detected a full-fledged government plot to flood the area with criminals , more than just pointing to bad political strategies and taking advantage of impressionable people by deceiving them. No other paper had previously had that take. In Apatzingán a short narcofolleto read: "Friends, the Knights Templar are distributing this letter to Apatzingán, to make the people believe that they are good and the Community Police and the Government are bad, the good thing is that no one believes them and their lies." The flyers delivered in Apatzingán in black and red, and concluded with: "No more killing, no more violence, Michoacan wants to live in peace and under rule of law! " A group calling itself guerrilla left twenty blankets in at least six municipalities in the state of Michoacan, which alleges a plot by the state government, in collaboration with the federal forces, to "import" criminals to that entity. "This is a federal government plot , marine, military, paramilitary want to put criminals in Michoacán state and get us," reads one of the blankets placed in the municipality of La Piedad. 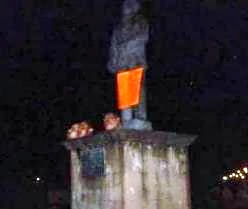 "Michoacán is no longer for more experiments like those conducted Felipe Calderon Hinojosa," says another of the texts. The leaflets delivered in Uruapan and Apatzingán are assumed to also be 'guerrilla': "We want to make clear that we are in guerrilla Michoacán thanks to poor government strategies, under the strategy of divide and conquer, same as what they used in Colombia with General Naranjo and is a government policy. " 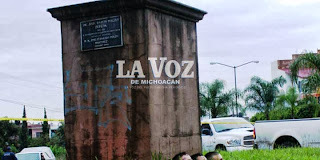 In these writings-that explicitly assign the blame toself-defense groups of the entity for the deaths in the Tierra Caliente region "for their ill-founded actions", in addition , they say, the Navy, the Army and the Federal Police support "members of a cartel (Jalisco), which only caused deaths and kidnappings in Michoacan." The U.S. Department of the Treasury today announced the designation of six companies and five individuals linked to the Mexican drug trafficking organization Los Gueros. The individuals designated today are key family members and associates of Los Gueros’ leaders who are acting on behalf of the organization, including Juana Olivera Jimenez, Rosalina Rodriguez Olivera, Felipe Reyes Magana, Juan Carlos Duran Nunez, and Andres Martin Elizondo Castaneda. The designated businesses are owned or controlled by Los Gueros, and/or by individuals acting on their behalf, and are suspected of being used by the group to launder their illicit proceeds. “Today’s designation of Los Gueros’ business network follows the arrest and extradition to the United States of two of its leaders. This action will further damage Los Gueros’ business empire and impede its ability to reap benefits from the drug trade,” said Treasury’s Director of the Office of Foreign Assets Control (OFAC) Adam J. Szubin. This action, pursuant to the Foreign Narcotics Kingpin Designation Act (Kingpin Act), generally prohibits U.S. persons from conducting financial or commercial transactions with these designees, and also freezes any assets they may have under U.S. jurisdiction. Based in Guadalajara, Mexico, Los Gueros is responsible for transporting multi-ton quantities of narcotics into the United States. By using aliases and listing close family members and associates on the deeds of their companies, Los Gueros has been able to hide ownership interest in companies and properties for many years. 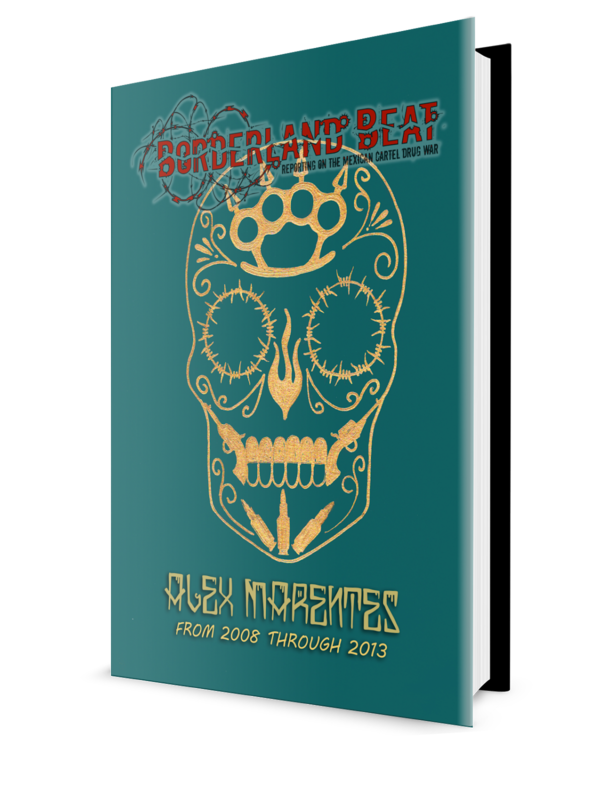 The businesses designated today include: the Mexican tequila company, Casa El Viejo Luis Distribuidora (a.k.a. Tequila El Viejo Luis); its two parent companies, Grupo Comercial Rool and Rancho El Nuevo Pachon; a distribution company in Germany, ROOL Europe; and two other related entities based in Mexico, Operadora y Administradora de Restaurantes y Bares Rudu and Asesoria y Servicios Administrativos, Tecnicos y Operativos Durel. Today's designation would not have been possible without the joint effort and support of the U.S. Drug Enforcement Administration, U.S. Immigration and Customs Enforcement’s Homeland Security Investigations (ICE HSI) and the U.S. Attorney’s Office for the Eastern District of New York. In May 2009, the Eastern District of New York charged the organization’s leaders Esteban and Luis Rodriguez Olivera with narcotics trafficking and money laundering. According to the indictment, Los Gueros imported more than 100,000 kilograms of cocaine into the United States between 1996 and 2008. In 2007, Esteban and Luis Rodriguez Olivera were charged in the U.S. District Court in the District of Columbia with drug trafficking in relation to a 2006 Mexican Navy seizure of over five tons of cocaine. Esteban and Luis Rodriguez Olivera were later extradited to the United States. 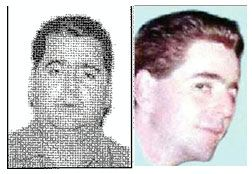 In February 2011, OFAC designated Los Gueros and its four leaders, Esteban Rodriguez Olivera, Luis Rodriguez Olivera , Miguel Rodriguez Olivera and Daniel Rodriguez Olivera as specially designated narcotics traffickers pursuant to the Kingpin Act. Since June 2000 the President has identified 103 drug kingpins and OFAC has designated more than 1,300 businesses and individuals. Penalties for violations of the Kingpin Act range from civil penalties of up to $1.075 million per violation to more severe criminal penalties. Criminal penalties for corporate officers may include up to 30 years in prison and fines of up to $5 million. Criminal fines for corporations may reach $10 million. Other individuals face up to 10 years in prison and fines for criminal violation of the Kingpin Act pursuant to Title 18 of the United States Code. "Asked to choose between the Gulf Cartel and the Federation, they chose not to ally with either..."
Luis RODRIGUEZ-Olivera (left) was captured in December 2011. He and his brother Esteban were the controlling individuals in what has been labeled Los Gueros Drug Trafficking Organization (DTO). In December 2008, one time co-head of Los Gueros DTO, Esteban Rodriguez-Olivera, was arrested in Mexico. He was extradited to the U.S. in March 2011 and is currently awaiting trial. Los Gueros DTO continued to operate under the sole direction of Luis Rodriguez-Olivera. Luis, then the sole head of the Los Gueros, played a vital role of cultivating and maintaining Sources of Supply (SOS) which are based in both Colombia and Peru, as well as overseeing the daily operations which once fell under the control of his brother, Esteban. Luis, in order to assure loyalty, relied heavily on assistance provided by his brothers Jose Alfredo, Daniel, and Miguel. Los Gueros have created and continue to grow a large scale distribution network throughout the United States as well as Europe. The Rodriguez-Olivera DTO, which was originally based in Guadalajara, Mexico, is now on the run out of Leon, Guanajuato. Los Gueros are responsible for the distribution of multi-hundred kilogram quantities of cocaine into the United States and Europe. The Rodriguez-Olivera DTO has also been linked to the wholesale diversion of precursor chemicals, particularly pseudoephedrine, to support production and distribution of significant quantities of methamphetamine destined for the United States and Europe. Historically, the Rodriguez-Olivera DTO had a strong working relationship with the Mexican Federation, a cooperating group of DTOs which occasionally share resourced such as transportation routes and money launderers. However, in or about 2005, the Rodriguez-Olivera DTO split from the Federation when Luis and Esteban Rodriguez-Olivera failed to pledge their allegiance to Ignacio Coronel-Villareal. When Los Gueros were asked to choose between the Gulf Cartel and the Federation, they chose not to ally with either. This neutral stance was not tolerated, and neither the Gulf Cartel nor the Federation would continue to work with Los Gueros. As a result, in order to continue their operations, Los Gueros relocated to Leon, Guanajuato. Once in Leon, Los Gueros established a strong relationship with Los Zetas DTO. This relationship was seen as necessary by Los Gueros due to the fact that Los Zetas controlled the routes in southern Texas needed to transship narcotics into the US. Luis Rodriguez-Olivera and his associates were indicted in the Eastern District of New York in 2009 for Continuing Criminal Enterprise, Importation of Cocaine, Possession of Cocaine with Intent to Distribute, Importation Conspiracy, International Distribution Conspiracy and a US $50 million criminal forfeiture allegation. 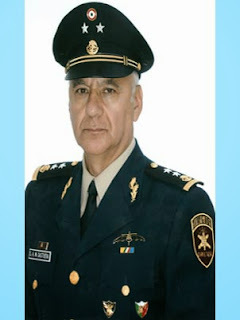 General de Brigada Sergio Alberto Martinez Castuera has been appointed the newest commander of the Mexican 10th Military Zone, according to Mexican news reports. The 10th Military Zone encompasses most of Durango state all the way to the sierras, and has been involved in a number of small counternarcotics operations earlier in the spring. General Martinez Castuera gained his second star in November, 2010, and he served a commandant of the Mexican Army's prestigious military academy, Heroica Colegio Militar between 2011 and 2012. During that time, charges had surfaced of harassment of cadets, evidenced by an open letter by a woman identified as Pacheco Gabriela Matias. It is unclear in the letter if the harassment was to females only, or to all cadets, but the charges included theft and abuse. No details of any charges were listed in the letter which had been published in a number of Mexican newspapers and magazines. Whatever became of the charges is also unclear in subsequent news reports, but whatever become of the charges it doesn't seem to have affected the general. General Martinez Castuera also previously served as commander of the 11th Military Zone in Zacatecas. What is most interesting about General Martinez Castuera's appointment is that he had served as commander of Mexico's Cuerpo de Fuerzas Especiales or Corp of Special Forces in 2008 and 2009, and implemented the initial training program for Mexican Fuerzas Especiales in counternarcotics operations. How this comports to his appointment to the 10th Militarty Zone is that last spring the Secretaria de Defensa Nacional (SEDENA) General Salvador Cienfuegos Zepeda told local news reporters in Durango that finding Joaquin Loera Guzman, AKA El Chapo, the leader of Mexico's largest drug cartel, is a "priority", as he put it. It long has been rumored that Loera maintains a residence somewhere in the sierras of Durango. Chris Covert writes Mexican Drug War and national political news for Rantburg.com and BorderlandBeat.com. He can be reached at grurkka@gmail.com. His latest work of non-fiction, The Wounded Eagle: Volume 2 went on sale September 1st at Amazon.com and Smashwords.com. 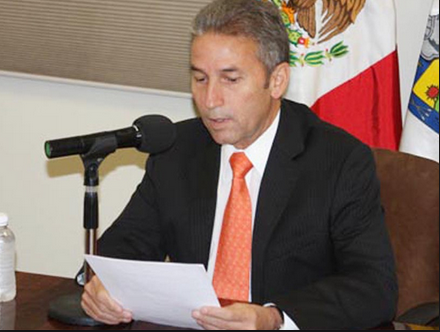 Mexico's Secretaria de Gobernacion (SEGOB), or interior minister, Miguel Osorio Chong is expected to meet with Mexican national deputies Friday to explain why police certifications are not nearing completion, according to Mexican news accounts. Earlier in the month, it was learned that only 63 percent of all state and local police nationwide have been certified, despite a looming November 1st deadline. 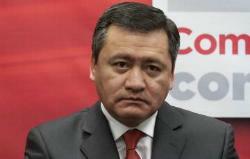 According to a news report which appeared Saturday in Milenio news daily, Partido Accion Nacional (PAN) coordinator for the Chamber of Deputies Guillermo Anaya said Saturday that legislators expect SEGOB Osorio Chong to explain why the deadline won't be met. The police certification program, begun under the previous national administration of Felipe Calderon Hinojosa was to be complete by December of 2012, but that deadline was extended to November 1st of this year. Since December, 2012, Osorio Chong has made it very clear he was aware of the deadline which specifies that all police at all three levels would either be certified or lose their jobs. The certification program includes tests including psychological, drug and confidence tests which are meant to determine a police agent's suitability to become a police officer. Results have been mixed. The lion's share of national police have already been certified while many states have lagged behind, some way behind. For example, the tiny central Mexico state of Colima says 98 percent of its police are certified while the northern border state of Tamaulipas is barely above 40 percent. Osorion Chong's role in the certification program is read. A large amount of the states' and municipalities' security budgets are provided by the national government either as direct funding or as pass though programs where taxes and fees collected by states and municipalities are returned to the states and municipalities. 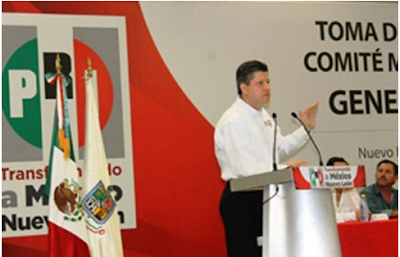 According to the Milenio article, concerns with members of the Chamber of Deputies became apparent when President Enrique Pena Nieto's 2014 economic package failed to address security. The package released three weeks ago addresses a restructuring of federal taxes, including a proposal to scrap the flat tax on businesses and a proposal to goose up the top rates on income taxes. Both of those proposals are likely job killing measures. A total of four unidentified individuals were killed or were found dead in southern Chihuahua since Sunday, according to Mexican news accounts. Two unidentified armed suspects were killed in an armed encounter with Mexican state police in the remote southern municipality of Maguarichi Sunday. Rifles and pistols were seized in the aftermath. An unidentified man in his 20s were found shot to death in Jimenez municipality Sunday. The victim was found dressed only in boxer shorts in the village of Almoloya on the road leading to Jimenez. A man was found tortured and decapitated in Hidalgo de Parral municipality Sunday. 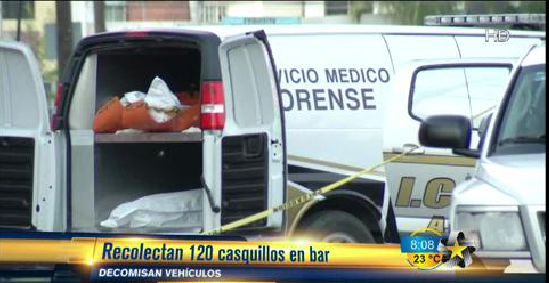 The victim was found on a road between the villages of Bufalo and Allende. The victim's head was not found at the scene. 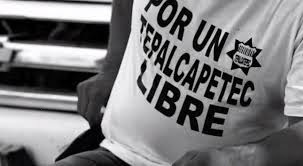 The most recent agent, who's name hasn't been given by his commanders, was detained for presumably having participated in the abduction and transfer of victims to Tlalmanalco, State of Mexico, where they were found dead, decapitated in a clandestine grave. These four SSPDF officers detained for their alleged connection with the Heaven bar kidnapping and murder case are elements of the Police Investigation of the same PGJDF. Edgar Ernesto Gutiérrez Vera Jorge Clemente Martínez Pérez, José Zequera Zavala and the fourth no name is given yet. Mexico City's police chief says a fourth officer has been arrested in the investigation into the kidnapping and killing of 12 young people who disappeared in May from an after-hours bar and later turned up in a mass grave. Security Chief Jesus Rodriguez Almeida says the four have been turned over to the prosecutor's office and he has no evidence to conclude they were involved. The Mexico City prosecutor announced Monday that two more police had been arrested in the case, putting the total at three officers. Rodriguez on Tuesday confirmed the arrest of the fourth officer to The Associated Press. Eighteen people have been arrested so far in the case involving the after-hours bar, Heaven. The killings shook Mexico City's image as a haven from drug-related, organized crime. 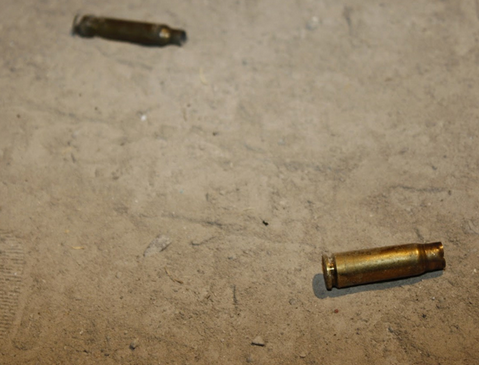 A total of ren unidentified individuals were massacred in northern Chihuahua, according to a Mexican news account. 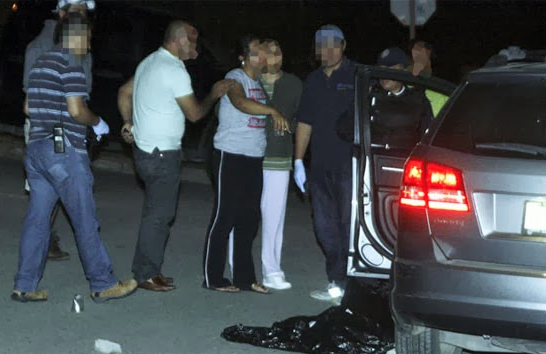 A late report posted on the website of El Diario de Juarez news daily said that nine people, including one young girl were shot to death near a business in the Ciudad Juarez suburb of Loma Blanca Sunday night. The Mexican news daily La Polaka said that at least ten were killed in the massacre. A late news account posted on El Diario de Juarez quoted Chihuahua state Fiscalia General del Estado, or attorney general delegate, Investigacion y Persecucion del Delito en la Zona Norte, Jorge Gonzalez Nicolas, as saying two armed suspects has attacked the family Sunday, confirming the death toll at ten. The report said that the family was holding a celebration at the patio of a residence near the intersection of Calle Manuel Belmont and Gomez Morin when armed suspects shot them using AK-47 rifles. Included in the list of victims were three survivors, all minors, and all taken for medical care. 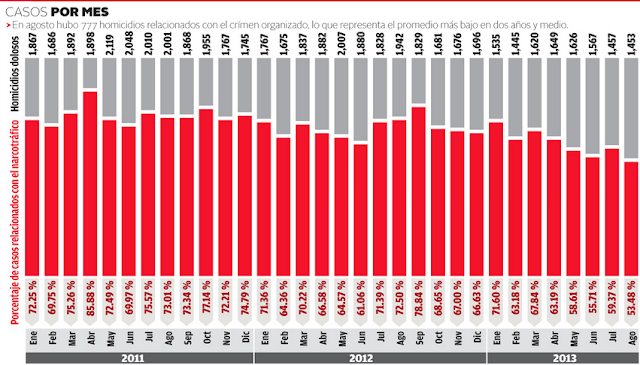 The shooting is the worst single incident violence in the northern area of the state in many weeks. 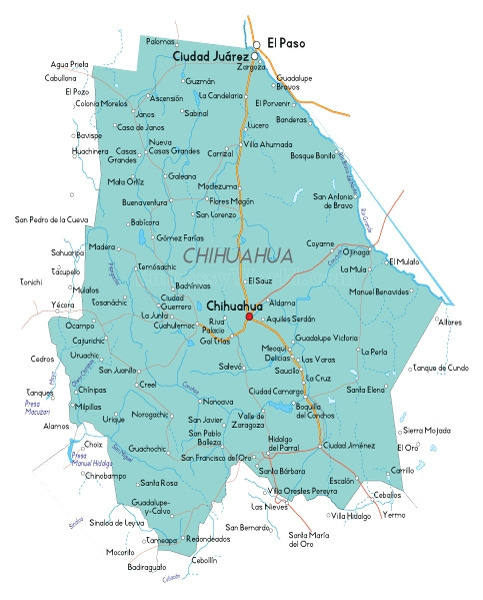 Much of the violence in northern Chihuahua, which reached its highest level in 2011, had shifted to southern regions where several of the larger cartels are known to cultivate drug crops. TAMPICO, Tamaulipas (proceso.com.mx).-- Faced with the lack of response from federal and state governments in helping Tamaulipas communities affected by Hurricane Ingrid, the Gulf Cartel (CDG; Cartel del Golfo) is mobilizing and delivering several tons of supplies to hundreds of inhabitants in Aldama and counties in the southern part of the state. The CDG posted a video on Sunday morning on social networks where it shows the aid it delivered to inhabitants of Aldama and other towns that were left isolated by Ingrid's torrential rains. The video begins with the title "Gulf Cartel helping Aldama", and its first "mission" begins precisely in that city. The first images show several pickups loaded with supplies such as cans of food, water, rice, corn flour, milk, juice, cookies and water in the parking lot of a shopping center in this city. 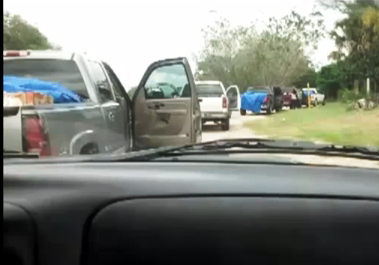 The video was animated with captions such as, "They have been good people, in good times and bad times in Aldama", and they show when they begin to unload the groceries to distribute them among the affected citizens. "If they are helping, it's because they have heart", "There is no other motive seen here except to help", reads the text, while they record the distribution of groceries to hundreds of women, children and elderly men, who were affected by Ingrid. The video was uploaded to YouTube and copied on several social networks such as Facebook, where bloggers asked how an organized crime organization can mobilize with total impunity and ease to reach affected neighborhoods, while state and federal governments have been unable to do so. "They even recorded a video for this propaganda", reads one of the comments in the web page Valor por Tamaulipas. "But how is this possible? How is it possible that a criminal group, can mobilize with impunity into communities where the state government, the Army and the Navy are stationed," it adds. "It's incredible; supposedly the military was carrying out the DNIII (project), so how is it possible for a cartel to go into an area where the DNIII is in place?" concludes the comment. A prosecutor specializing in homicide for the Office of the Guanajuato Attorney General (PGJE) was executed last night in Leon, Guanajuato. Jose Antonio Guerrero Salazar, was shot to death by gunmen pursuing him as he was leaving the neighborhood of Granjas Campestres by the exit at San Francisco del Rincón. Guerrero Salazar was with his wife heading home when at the intersection Governors and Satellite Streets was hunted down by sicarios in two other vehicles who shot him several times. Fortunately, the prosecutor's wife was physically unharmed. 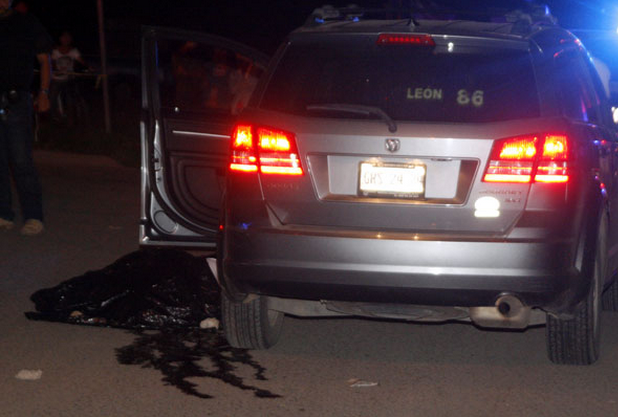 The PGJE official died after receiving several bullets in the skull, said the deputy Manuel Angel Hernandez. Salazar Guerrero was 49 years old and worked for nearly 20 years in the field notably as an agent for the Office the Attorney General. He served as prosecutor specializing in homicides. According to the first witnesses on the scene, two vehicles were pursuing the car, one was reportedly a white Honda with no plates (except provisional paper taped on the inside windshield) and a grey vehicle which waylaid the prosecutor's car, at the same time agrey vehicle blocked the van, four gunmen opened fire and neighbors heard 6 to 7 detonations. The victim died facedown on the side of his car in minutes. After the first report at 9:20 PM to 066, Municipal Police corroborating that a person had been shot and was seriously wounded, requested immediate medical help, they received a description of the perpetrators and implemented a wide search operation of the area within minutes. Paramedics reached the scene quickly. 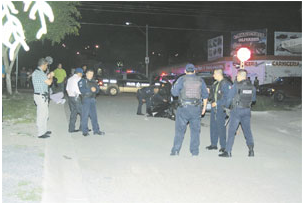 The area across from the Pemex plant, was reinforced with a contingent of police from every level as it became apparent the chief homicide prosecutor of PGJEG Zone 1 had been slain. The first insights into prosecutor's body, by the paramedics, presented four bullet wounds in and out of the occipital region of the head and more in the chest. Deputy Manuel Angel Hernandez said at the news conference today that the Attorney General of the state of Guanajuato expresses its strongest condemnation of the murder of Mr. Jose Antonio Guerrero Salazar in the city of Leon. 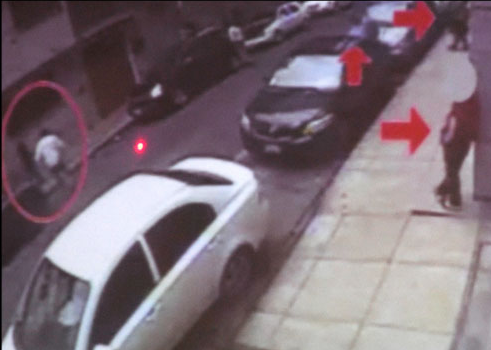 Salazar Guerrero died of multiple penetrating wounds to the head, but the spokesman reserved their number and caliber of the bullets that killed the officer of the PGJE. The deputy refused to talk about details of the opened investigation. He just reiterated the agent was in his car bound for home when he was stopped and finalized and "It is ending of the life of a person who virtually spent his entire professional life was working for the Attorney General, many years." Again he condemned the murder of the agent, whom he described as "a great man with an investigative nature."